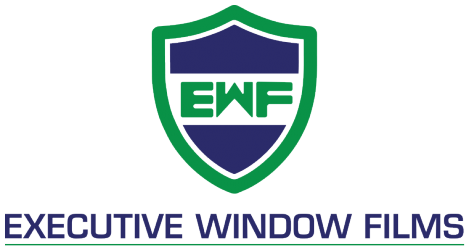 Executive Window Films has recently completed a 20,000 square foot installation of security film and safety film to a local leisure and events arena. 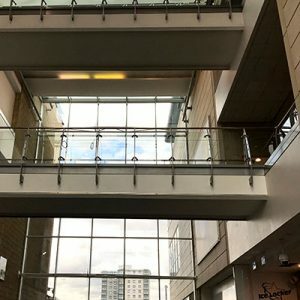 This was required as the main atrium is mainly glass and in the event of an explosion or accident could have caused serious injury to staff and visitors. 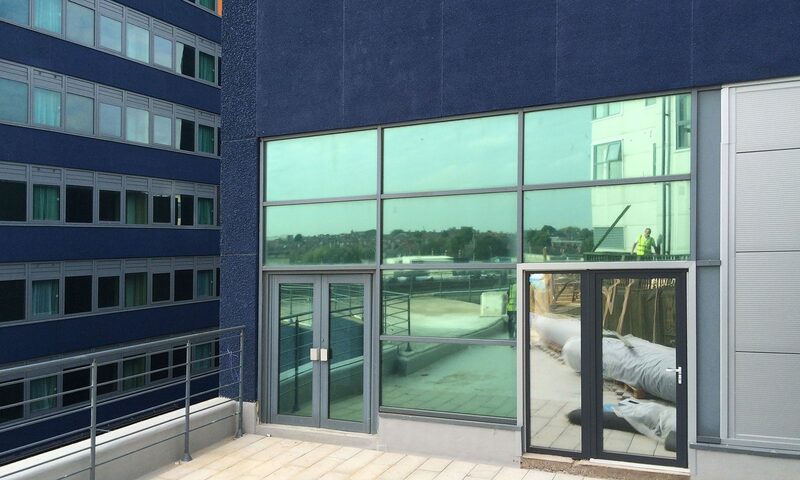 There was a lot of high-level glazing that required safety film – All our fitters are IPAF trained in the use of access equipment such as cherry pickers and scissor lifts. After application of the window film, an anchor system was applied to the edges of the safety film to bond it to the frame making it even stronger and safer.